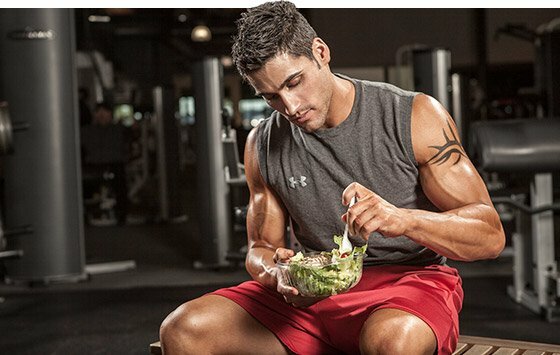 Are You A Gluten-Intolerant Bodybuilder? If So, You MUST Read This! If some grains are a pain, you may have a more serious problem. Here's everything the fit need to know about gluten intolerance. If you've noticed an increase in the number of products gracing supermarket and specialty store shelves with the symbol GF or phrase "gluten-free" on the package, it's not your imagination. It may leave you wondering: What's wrong with gluten? Why should I avoid it? For that matter, do I even need to avoid it? Gluten is a protein composed of gliadin and glutenin. It's found in wheat, rye, barley, and, therefore, a number of foods, medicines, and dietary supplements. And even foods that are naturally gluten-free, such as oats, may contain some gluten due to cross-contamination of crops (think of an oat crop near a wheat crop, wind blowing, and wheat making its way over to the oat section). "Even foods that are naturally gluten-free, such as oats, may contain some gluten due to cross-contamination of crops." Gluten contributes to the thickness, elasticity, and "rise" of various baking products. In fact, if you tried gluten-free products years ago, you may vividly remember feeling as if your teeth were sinking into shoe leather. However, food science has come a long way. Many of the new gluten-free products, from King Arthur Flour products to Kay's Naturals cereals, are so delicious they'll make your mouth water. More than 2 million Americans have celiac disease, yet only an estimated 5-10 percent of people with this disease know they have it. Celiac disease can affect anyone, though it is more common in people who have Type 1 diabetes, autoimmune thyroid disease, Down syndrome, and micrscopic colitis. Celiac disease is a genetic disease that affects the digestive system. Those with celiac have an immune reaction to gluten; over time, consumption of this protein damages or destroys the villi, the small, fingerlike projections that line the wall of the small intestine. Now, why the rise in gluten-free products (it even has a Twitter hashtag #GF)? First, our awareness of celiac disease and gluten sensitivities has increased along with diagnoses of celiac disease. Second, a number of people who may not have any issues with gluten are choosing to go gluten-free for a variety of reasons. In some people with celiac disease there are no obvious symptoms; however, others may notice any of the following. Neuropathy, nerve damage that may result in tingling or burning or loss of sensation. Neuropathy typically starts with the extremities - fingers and toes. If you think you have celiac disease, how do you get tested? "If you think you have Celiac Disease, opt for a blood test but keep in mind these are not 100% accurate." First, opt for a blood test, but keep in mind these are not 100 percent accurate. 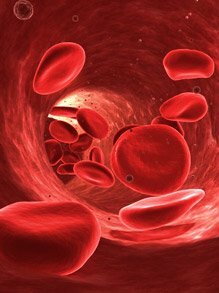 These blood tests include IgA tissue transglutaminase (TtG) and IgA endomysial (EMA) antibody tests. Next, as recommended by Shelley Case, RD, a dietitian expert on celiac disease and member of the Medical Advisory Boards of the Celiac Disease Foundation and Gluten Intolerance Group in the U.S., get an upper endoscopy and biopsy including 4-6 intestinal biopsies including the duodenal bulb. The biopsy removes tiny pieces of tissue from the small intestine to examine them for damage to the villi. An alternative to the intestinal biopsies is a skin biopsy (click here for more information about the skin rashes associated with celiac disease; note that a positive skin test means you do not need the intestinal biopsies whereas a negative skin test does not guarantee that you don't have celiac disease). Celiac disease should not be taken lightly as there are many potential complications including malabsorption, anemia, osteoporosis and infertility. Unlike many diseases that require medication to treat the symptoms, celiac disease does not require medication but instead the strict avoidance of gluten (going on a gluten-free diet can healexisting intestinal damage in celiac patients though this process may take several years in adults; a healed intestine means that the villi can absorb nutrients from food in the bloodstream). More information about the gluten-free diet for celiac patients can be found here. Gluten intolerance or sensitivity is very vague and you generally have to rely on symptoms as a diagnosis (symptoms may vary dramatically) and then try a gluten-free diet (after getting tested for celiac disease) and see if you feel better. As A Bodybuilder, Should You Go On A Gluten-Free Diet? Now, a bodybuilding diet may take a gluten-free approach if the person has celiac disease or a gluten sensitivity. However, just randomly going on a gluten-free diet without a valid reason isn't the wisest approach to food and nutrition. And in fact, if you have no reason to shun gluten then you may just end up filling up on all of the delicious gluten-free foods but not necessarily getting the nutrition you need for good health. Not to mention, if you think you have celiac disease, going on a gluten-free diet before getting tested can interfere with the accuracy of the tests (and yes you should be tested and then follow a strict gluten-free diet if you have celiac—avoiding gluten in supplements, medications, lip balms etc.). "Just randomly going on a gluten-free diet without a valid reason isn't the wisest approach to food and nutrition." (for those without celiac disease or gluten sensitivities/intolerances). A few studies have shown that going on a gluten-free diet led to a decrease in healthy gut bacteria and increase in unhealthy gut bacteria in otherwise healthy people indicating that there may be something special about those gluten-containing grains. For more information about celiac disease, click here. Always choose a diet approach that fits your individual needs. Just because it worked for someone else does not mean it will work for you (and, that person might not even know why it worked - i.e. it might not be the riddance of gluten that led to weight loss but instead cutting out calories in general by avoiding certain foods). If you think you have celiac disease, go to a gastroenterologist for testing. Randomly going on a diet or cutting out certain foods can sometimes do more harm than good. While a gluten-free diet is vital for some people, the rest of us are better off following a diet specific to our individual health needs. Ask The Macro Manager: What Is Gluten And Is It Unhealthy? Gluten has been shunned for the wrong reasons. Some experts have deemed it the devil of healthy diets. The truth: Gluten probably isn't your enemy! 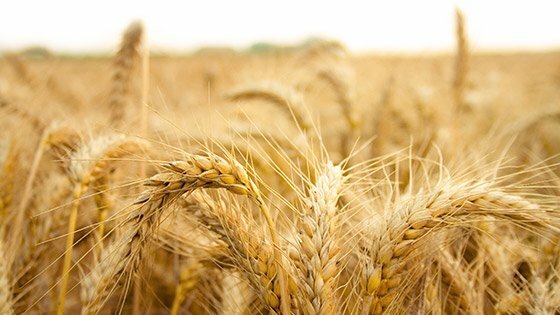 Learn why a noted cardiologist believes wheat is what we really need to whack from our diet in order to shape up.